Attempted homicide charges require a specialized defense. When people think of court room proceedings or the work of a criminal defense attorney they often picture the big murder cases that are in the news and in popular fiction. However, homicide cases are depicted in movies and books and reported on the news because they aren’t that common. A more common charge though, that is related to homicide is an attempted homicide. 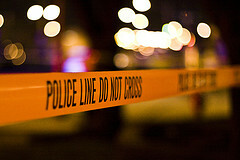 We provide attempted homicide defense services throughout the state of Utah. Although most attempt crimes are charged as much lesser offenses than the baseline crime, in the circumstances of murder, the offense is so severe that even an attempted murder is charged as a first degree felony and a convicted individual could be facing three years to life imprisonment. Homicide is clearly defined in Utah statute as when a person intentionally or knowingly causes the death of another. Where the charge of attempted homicide becomes confusing and more difficult to understand is when we add in the attempt element. Under Utah law an attempt is when a person engages in conduct constituting a substantial step toward commission of a crime, and intends to commit the crime or knows that the act is reasonably certain to cause a particular element of the crime. This kind of language provides attorneys with a lot of space to form arguments and suggest that certain elements of the crime were not met by the particular facts of the case, making an attempted homicide defense not only possible but probable. Because murder and attempted murder charges carry such serious penalties the state legislature and the courts have provided a number of defenses to these crimes to make sure that those acting without the scope of the crime are not convicted. With the help of an experienced criminal defense attorney an individual can be sure that their rights are being protected and that every attempted homicide defense available is being used. If you have been charged with attempted homicide which is often referred to as attempted murder then call Salcido Law Firm today. There is no time to waste in preparing for your defense. The attorneys at Salcido Law Firm will fight zealously in your best interest and will make sure you understand every aspect of the proceedings and are aware of all your options and the effect those will have on your future. Call us today to set up a free consultation about your attempt homicide defense to find out what we can do for you and your case.